Add additional for $99 each! Vintage British Tone, well defined highs, great mid and low mid punch, smooth bottom end. 20% off low intro price. Reg $149. Available in 8 ohm only. 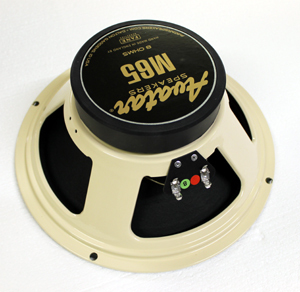 I received my Avatar-Fane M65 (AFM65) and loaded it up up in my one of my 2X12 Sour Mash Bluesbreaker style cabs. 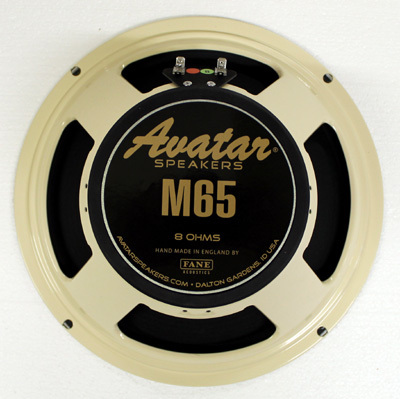 Talking to Dave at Avatar about the AFM65, he mentioned that he worked directly with Fane on this speaker and it’s based on a high powered greenback speaker but he put some “tweaks” into it. I’ve kept the chain very simple so I can really hear the amp and speaker(s) working as one unit. I’m a rock player by trade so this review is based on rock tone. I’m not a metal player or shredder, just simple rock n roll in the style of AC/DC, Social D, classic rock, etc. etc. On it’s own, the AFM65 sounds similar to a good, old fashioned greenback. The lows are warm and soft but don’t flub out, they stay focused. The mids and low mids are rich and have this punchy quality to them that have more “oomph” than the Creamback 65’s. The high mids and highs are sweet, rounded and bell like. There’s no sharpness to the highs and as the speaker compresses, that killer crunch starts to happen when you dig in. Cleans sound very pleasing and there’s almost a piano quality to the notes, they are well rounded and ring out clear. The biggest difference I found between the AFM65 and Creamback 65 is the overall clarity of the AFM65 is superior in every way. It’s noticeable right up front. I dialed my Phaez in to have some nice crunchy overdrive and rung out an open G chord. The notes stayed clear and defined but the crunch was perfect. The high notes rang out loud and clear and the mids were punchy but not overly aggressive. The lows stayed nice and tight but with the warmth and softness of a classic greenback. This is where the bloodline of the Fane kicks in…amazing clarity, rounded sweet highs, rich mids and very controlled bass which combined create a highly addicting crunch. It’s like “crunch crack.” The other plus is that it’s 99db SPL so it can hang with the “big boys” such as Vintage 30’s, H75’s, etc. and not get drowned out. That’s huge when it comes to mixing this speaker with others. AFM65/Vintage 30 (Hellatone 60) – This mix surprised the heck out of me. I’ve been running a Creamback 65/V30 mix the past few months and although I liked it, the V30 was dominant in the mix and the Creamback just sounded rather dull or muffled. The AFM65/V30 mix was a totally different story. 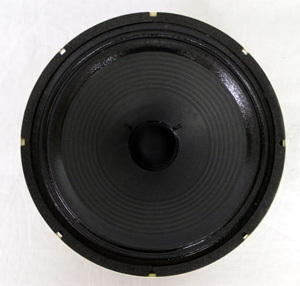 The similar SPL of both speakers means that they are equal in volume. Also, the clarity of the AFM65 with the V30 opens up this combo. The lows stay tight and not too over the top and the mids are so rich and punchy without being muddy at all. The highs are nice and sweet, no harshness at all. I was pleasantly surprised how well this combo cleaned up when rolling back the volume knob to 7.5 or 8. This is a really versatile mix and I could easily see this being a work horse of a combo that could cover lots of different genres. This was a perfect match for the Plexi and BF Bassman and sounded fantastic both semi open or closed back. AFM65/Retro 30 – Okay, this one is weird. The Retro 30 pairs SO well with my Avatar-Fane H75 and I thought it would work great with the AFM65. Not so much for me. Something funky happens with the highs on the Retro 30 that just didn’t work well when paired with the AFM65. I don’t know, it just seemed like both speakers were fighting each other for a sonic footprint. I wasn’t feeling this one at all and it didn’t stay in the cabinet long. AFM65/AFH75 – Sweet mix! I’ve heard a lot about mixing M and H speakers and have been wanting to try this for some time. The concern I hear about with the typical M/H mix seems to be the difference in SPL between them. This combo changes the game with the AFM65 being 99db and the AFH75 being 100db. They play very nice together. The clarity and richness from both speakers shines in this scenario with the H75 having deep, tight bass, beautifully rounded highs and an overall “airiness” to the speaker. That mixed with the AFM65, which has that greenback mid push/grunt, rich mids, softer bass response and rounded highs, makes this a HUGE sounding cab. Plexi tones, BF Bassman, clean, crunch all sounds fantastic. I tried this combo in a closed back configuration and didn’t work for me at all. Semi open or open back is the ticket for this combo. AFM65/Creamback 65 – Pretty much sounds like two high powered greenback speakers working together in a 2X12. I did like this combo better closed back than semi open back. I’d prefer two AFM65’s in a 2X12 to two Creamback 65’s in a 2X12. The clarity of the AFM65 just makes the speakers more open sounding and less congested. Great vintage tone with this combination. Probably a perfect blues/classic rock 2X12. 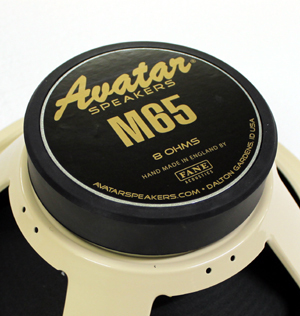 @daveAvatar and his crew have done a great job working on these Avatar-Fane speakers. They’ve have impressed the heck out of me and I’ll be excited to get these into the studio in the next few weeks as we start our new project. I’ll also be rocking these cabs live this weekend so I’m looking forward to putting them through some “real world” scenarios and hammering the heck out them. 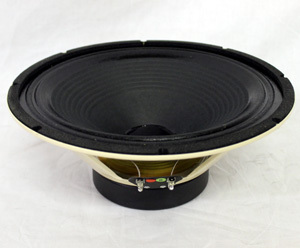 The Avatar Hellatone A25 is a 12 inch 25 watt guitar speaker that is made in the U.S. but has the same tonal characteristics of British Alnicos. With its Kraft paper voice coil former, full size 34 oz. Alnico magnet, you get that Vintage tone vibe and bell like chime at an unbelievable low price. Available in 8 ohm or 16 ohm versions.